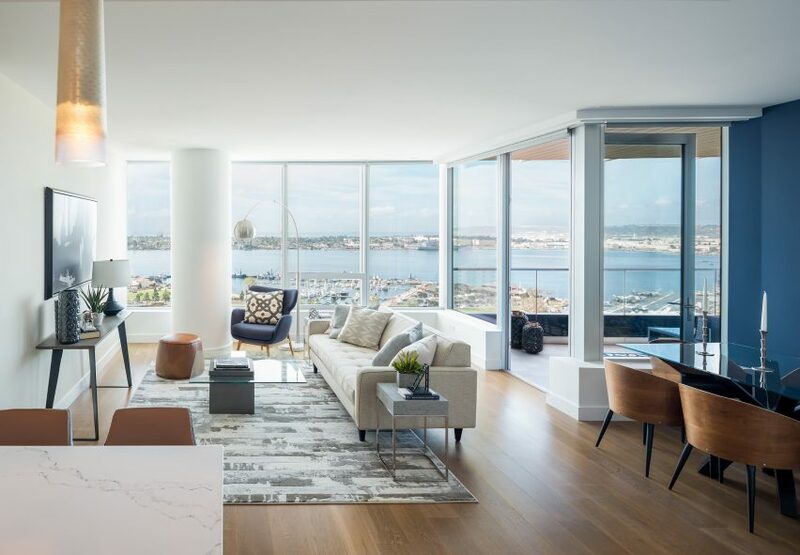 Global architecture firm Kohn Pedersen Fox has completed a high-rise condo building on the San Diego waterfront, with a curved glass form that stands out from the city’s boxy towers. Pacific Gate by Bosa is 41 stories tall at the junction of Broadway and Pacific. With plans to create a “gateway” into the city, developer Bosa aimed to capitalise on the revitalisation of the surrounding waterfront and continuing work in the area. 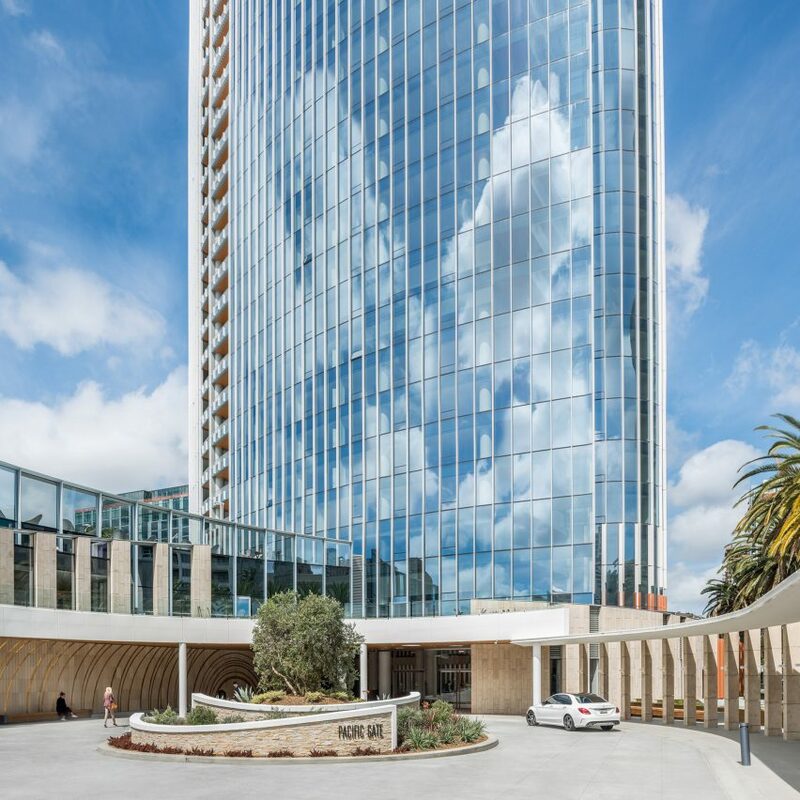 The company built a tower filled with luxury condos, along with public amenities like retail space, restaurants and a plaza at ground level. The city initially wanted a mixed-use development for the prime site, but agreed on a mostly residential scheme on the grounds that an architectural “landmark” would be created. Therefore, Bosa enlisted KPF to design a building that would contrast with the others in the area – many of which comprise simple rectangular volumes. 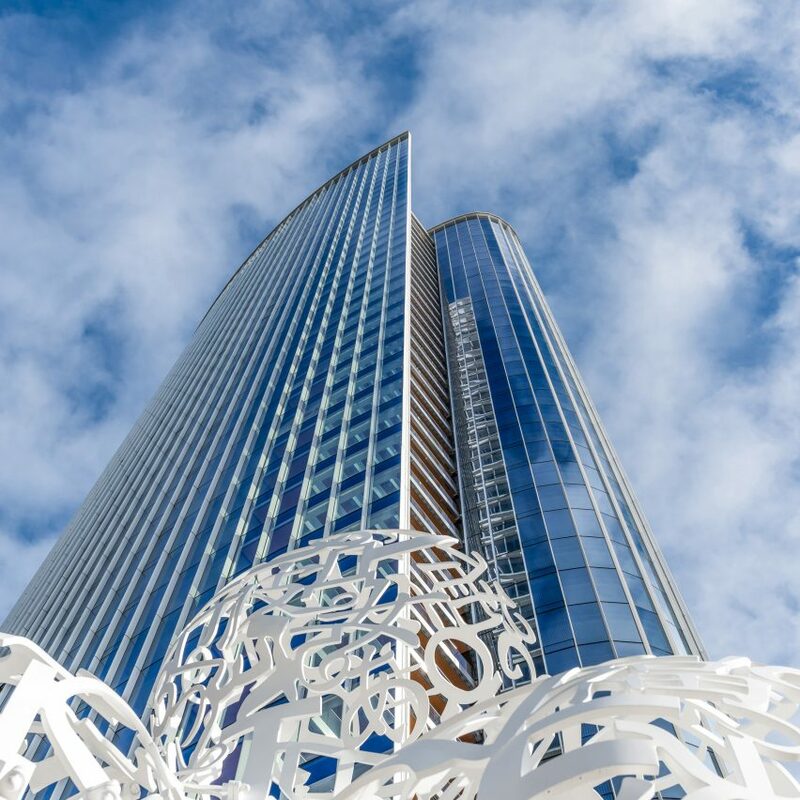 The architecture firm chose the nearby ocean as a starting point for the tower’s form. 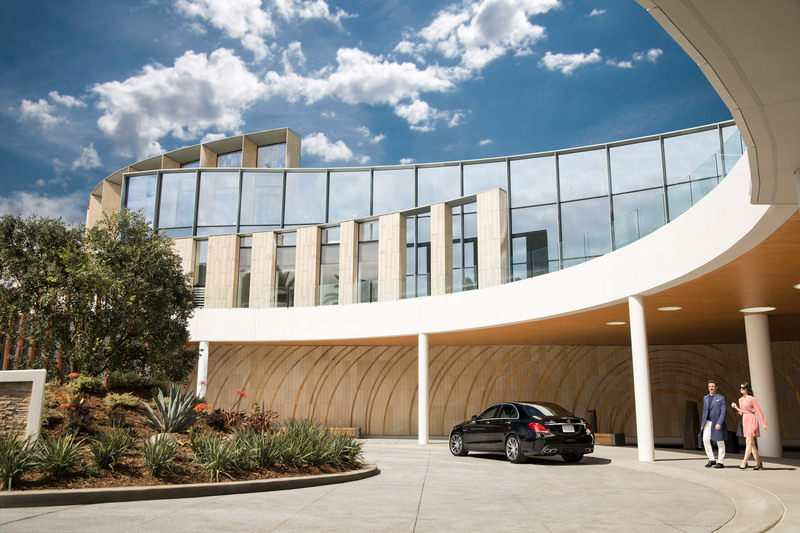 Glass panels are arranged to create curved facades that run the full height of the tower, which is angled at its peak. 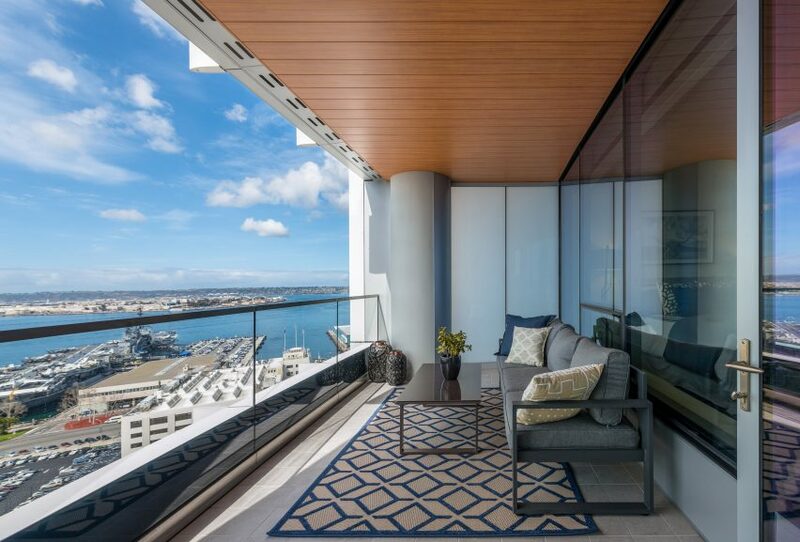 It contains 215 two- and three-bedroom residences, ranging from approximately 1,276 to 2,450 square feet and priced at $1.1 million and beyond. The retail area on the ground floor totals 15,000 square feet. Plans for the space include an Asian-American restaurant called Animae, run by a team that operates several restaurants in the city. 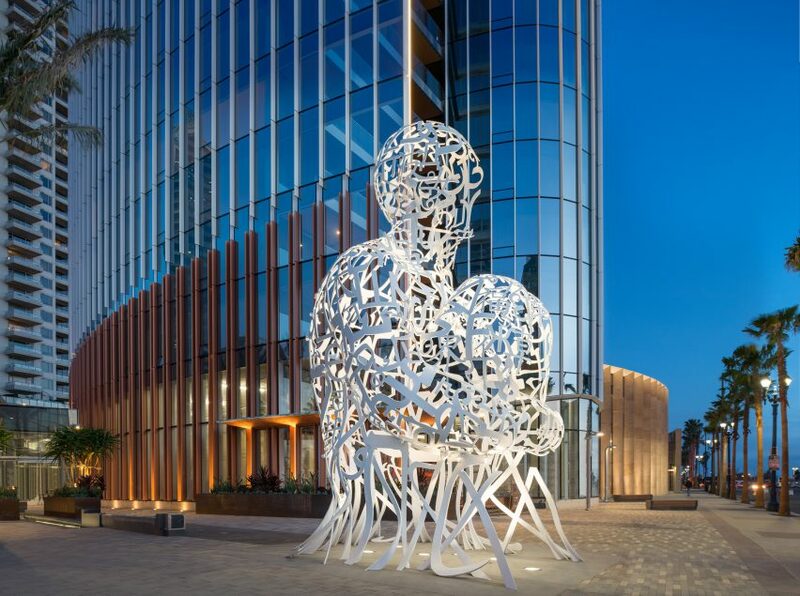 A sculpture by artist Jaume Plensa also sits at the tower’s base. Residents and their visitors arrive at a forecourt around the back, which is partially shaded and boasts a large water feature. 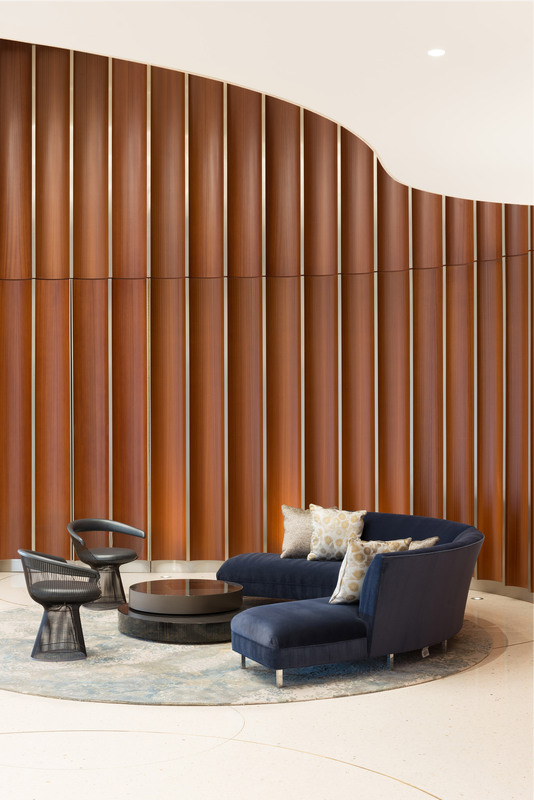 The canopy leads to a double-height lobby, decorated with cherry wood panels and circular light fixtures. Interior details like tiling, carpets are intended to pick up on characteristics of San Diego, such as the water and sunsets. 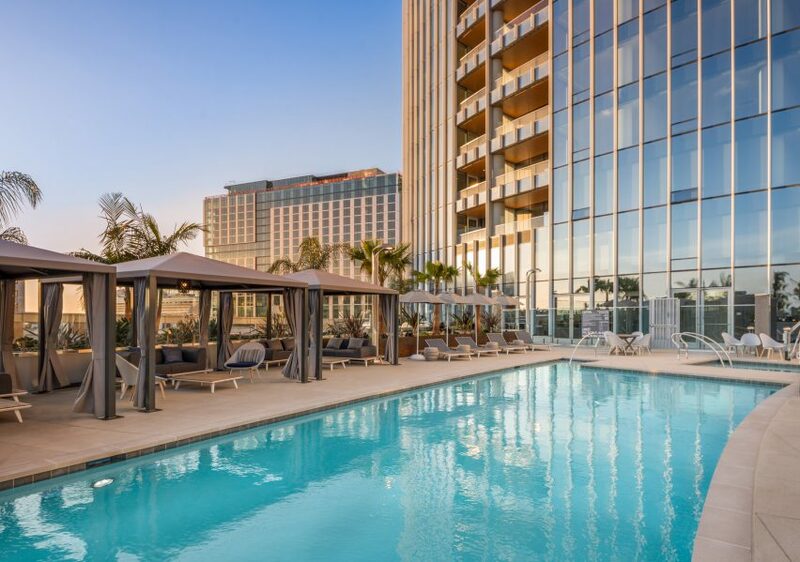 Private amenities at Pacific Gate include a swimming pool terrace, with seating, grills and cabanas, a private lounge with kitchen facilities, and a fitness suite. Rooms for meetings, conferences, movie screenings are also available to residents, as is a private dog-walking area, and access to a 45-foot yacht for gatherings or events. 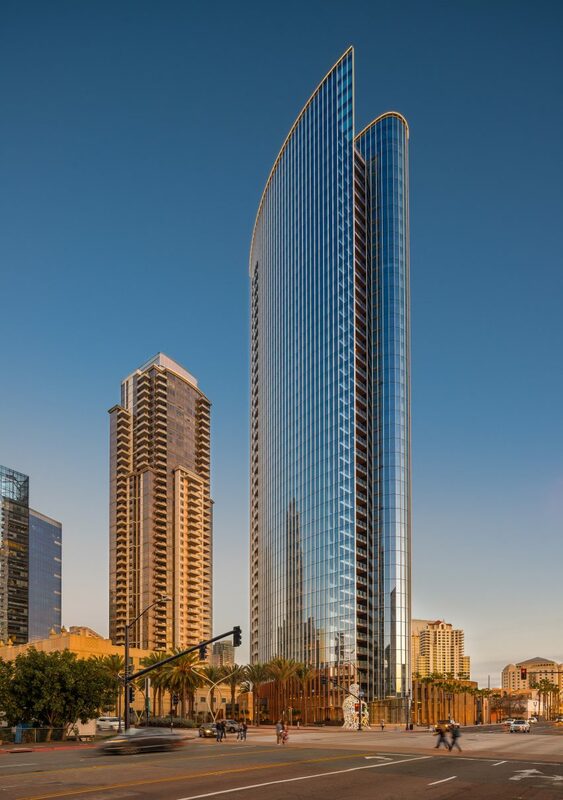 The firm is currently working on several high-rise projects across the US. In New York City, its One Vanderbilt skyscraper is set to become the metropolitan’s second tallest and its Brooklyn Point tower is poised to take the same title for the borough. Another record-holder is also underway in Miami, KPF’s One Bayfront Plaza is due to be the city’s joint-tallest building.